How can you create content so immersing and engaging that you convince all the lovely people visiting your site to stick around and make a purchase? Or fill in your contact form? Or sign up to your newsletter? Whatever it is you want them to do. Sadly, if what you’re really asking for is a magic formula or a short cut, there isn’t one. Before we create any piece of content, hours of work goes into researching your audience, studying what works for your competitors and formulating a strategy that we believe will appeal to your target market, answer their questions and accomplish your campaign goals. All of those things are necessary, but at their core they have one key factor. Something you simply have to bear in mind before you tackle the content on your site. If you’re solely focused on ‘writing for search engines’, don’t expect the human beings who visit your site to engage with you. 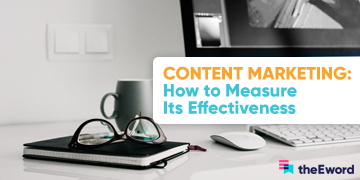 If your content is the thing you spend the least amount of time on, you can expect it to be the least effective weapon in your arsenal. On the other hand, if you give it the time and attention it deserves, and write something that you’re proud to share across social media channels for others to read, it will work. That is the reality of online content, and it’s why our writers take such pride in their work. We’re passionate about writing and we care about our craft. 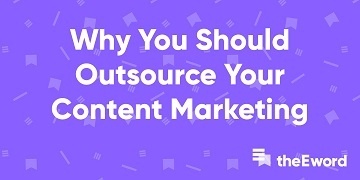 While you can’t necessarily assign a monetary value to caring, we believe that doing so will provide your readers with the content they deserve, and that’s ultimately what’s going to achieve your targets. Which brings us to our next point. Part of honing any skill is listening to the experts, and you don’t have to look far to find renowned writers voicing their opinion on what constitutes good writing. We’ve compiled a few of our favourites below. Disclaimer: Like all rules, there are exceptions to be found for all the observations below. They’re just little nuggets that we’ve found useful over the years. Hemingway’s response quickly puts that idea to bed, and rightly so. Why would you want your users to need a dictionary to make sense of your writing? Trust us, they’ll get bored very quickly. In other words - get over yourself, Faulkner! Your readers should be at the forefront of your mind with every piece of content you create. It’s them you are trying to impress and relate to. We’re not knocking those lucky enough to have a built-in thesaurus bouncing around their brain. Congratulations. Just don’t assume your audience will find it as impressive as you. It’s all too easy to become inebriated by your own verbosity, but you can swiftly begin to sound pompous and exasperating. That last sentence is a case in point. We can see here that the horror maestro has a particular beef with so-called “business” content. He’s not holding back either. Nobody wants their site to come across as “weak”, “circuitous” or “tortuous”. That would be a bit of a disaster. Without getting too bogged down in a grammar lesson you didn’t ask for, King’s contention is that it’s better to have an active subject in your sentence. In practical terms, we can see that we offer unforgettable holidays reads better than unforgettable holidays are what we offer. The former lets the reader know in no uncertain terms that your business is the place to go for the holiday of their dreams. The latter just sounds distant, unfriendly and plain wrong. Dahl’s advice is taken from his reply to a letter he received from 17-year-old Jay Davies in 1980. The budding writer wanted tips on how to improve his short story, and Dahl left him in no doubt that less is more. His wisdom needn’t be restricted to adjectives either. There’s a lot to be said for a strong editing process. Have a colleague take a look at what you’ve written before you publish it and make sure you’re getting to the point as quickly as possible. “A sentence should contain no unnecessary words, a paragraph no unnecessary sentences, for the same reason that a drawing should have no unnecessary lines and a machine no unnecessary parts. 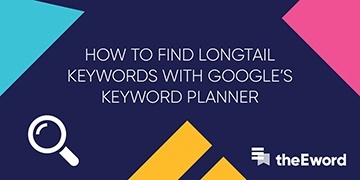 There’s a common misconception that there’s some magical word count that you need to hit to impress Google. While it’s true to that you will neither rank well nor convince users to convert with blank spaces, strong writing isn’t padded out to meet a predetermined word count. It’s as long as it needs to be to get your message across. Your product or service should be interesting enough that you can find plenty to say for yourself. If that isn’t the case, then it might be time to start worrying. Caring about your content is important. That’s the message we opened with and it’s what we want you to take away. 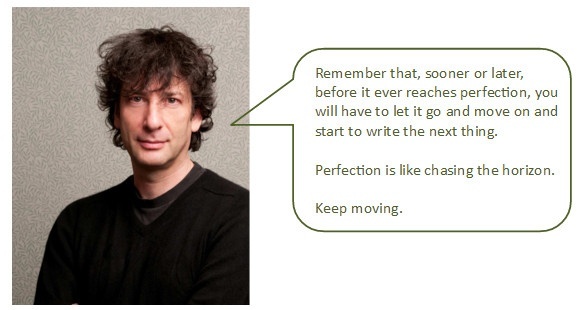 But as award-winning fantasy novelist and comic book king Gaiman wisely observes, you need to know when to quit while you’re ahead. Set aside time in which to create your content and make every effort to stay within those deadlines. Many writers swear by ‘The Rule of 24’, in which you write your content, leave it for a day and then come back to it. The problems that seemed disastrous yesterday probably won’t seem as bad, and your clever old brain might have come up with a few more ideas to make the piece better while you were off thinking about other things. Knowing when to stop is one of the hardest skills to acquire as a writer, but it’s an important one. Just like trying too hard to impress a date or job interviewer is likely to send them sprinting in the opposite direction, so over-egging the content omelette is likely to leave your audience a bit scrambled. These are just a few of the things we think about in our approach to writing, but there are no right or wrong answers here. If it works for your business, keep doing it. If it doesn’t, try something else. We want to hear the pieces of advice that have helped you in your quest to create engaging content. You can let us know on our Twitter or Facebook pages, or come and visit us in person at one of our regular Eworkshops. See you next time! Additional research by Dan Moores.